At the August Meet-up of the London based wp-hooked I talked on the topic of WordPress Widgets, and in particular the admin area for them (slides can be found here). The talk came from the view of a user (read not developer) of WordPress who wants to take advantage of all the wonderful chunks of code that already exist in the WordPress widgets ecosystem. This ecosystem is a constantly growing one with Widgets being developed and released on the WordPress.org repository all the time. For website users (e.g. site owners, authors, etc) to actually make use of these great blocks of logic it’s not a friendly place sadly. The legacy idea of Sidebars is one that still has a place but it’s the use of Widgets outside of these well-trodden widget areas that things start to get tricky. 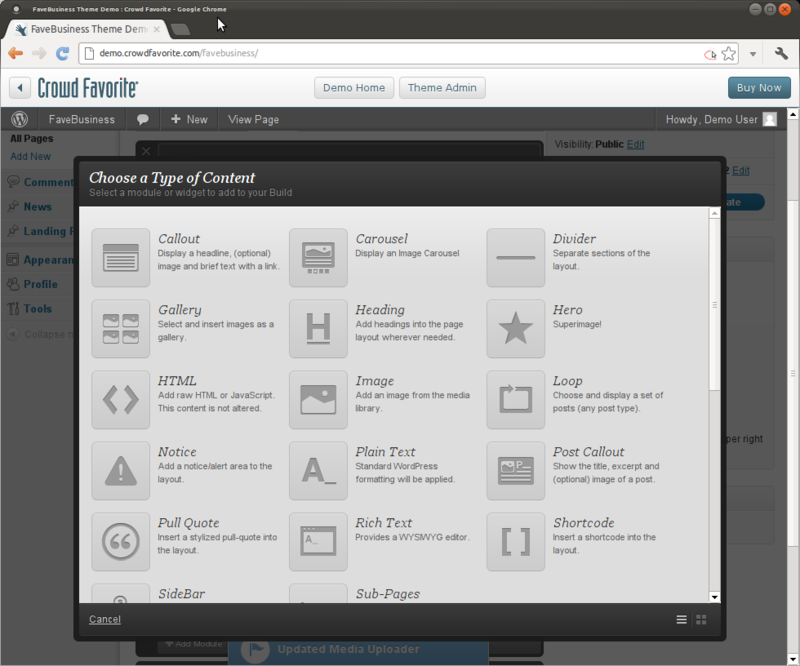 Carrington Build – A premium build tool which gives an advanced admin “layout” UI which enables users to add “content modules” to pages which could be widgets. Users want to add widgets to posts and pages on the fly. Do widgets need to belong to sidebars? My personal thinking here is that CPT could be used to replace sidebars altogether. Perhaps Widget attributes could be stored in post meta data if that Widget instance belonged to a particular post. Having a drag and drop, minimal interface via the editor would be good… we would want to avoid the use of shortcodes. Perhaps in a similar way to the method used for images? 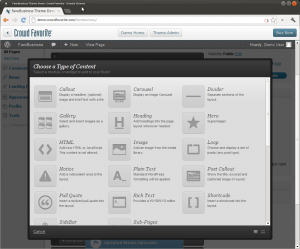 Users want to be able to control the layout of widgets within their posts and pages. And so there we have it… we have essentially a loose spec for a killer plugin or modification to core. For my part I really enjoyed the opportunity to vent some frustrations I’d been having personally as well as seeing over and over again in the WordPress.org support forums. It was great to have some expert feedback from like-minded WordPress folk. Once again, of course, thanks go to Emily and Ross for organising and chairing and of course the Dachis Group for hosting us. I’m already looking forward to the Sept ’12 event… what can I say, beer, WordPress and friendly geeks are excellent bed-fellows. I would steer anyone reading this away from “Page Layout” it isn’t great and it’s also no longer supported. Great idea, just not well done.